Grout is quite effective since it helps keep the bathroom tiles in place. However, grout is also susceptible to stains and damage. While mopping is an effective method, it alone cannot help ensure your home stays clean. Grouts do not always have seals. The absence of seal allows dirt and other elements to find a way underneath the tiles. Simply mopping the floor will not remove those elements. In some cases, mopping only makes things worse since it pushes the dirty water under the grout. Some people assume that they can clean tiles and grouts using dish soaps. However, excessive use of these types of products can leave behind residue, which is very tough to wash off. Bleach and other kinds of acid cleaners might be effective at removing dirt and killing the bacteria, which exist beneath the tile however, they have an effect on the longevity of your tile. A strong concentration of acid can result in your tiles breaking down. These products also release vapors, which are harmful to your health. People go at lengths to make sure that the tiles enhance the aesthetics of their homes. However, using bleach can result in your tile losing its shine. Seals are quite effective since they prevent dirt and moisture from entering the area under the tile. 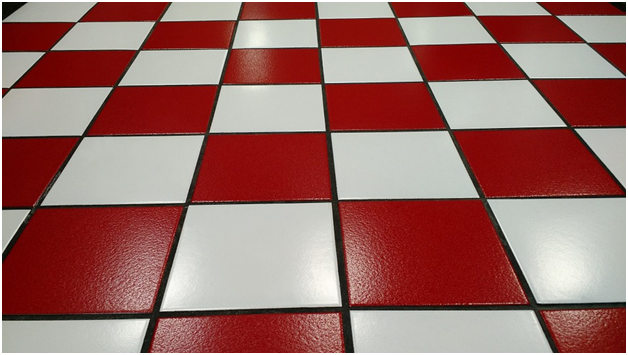 However, you are mistaken if you think that simply adding a seal will ensure that your tile and grout stays clean. Sealants require regular maintenance since they wear down after a certain period of time due to excessive use. While aggressively scrubbing the tile with a brush might help remove some of the dirt, it can’t remove deep embedded grime from the tile and grout. Use soft brushes instead in order to prevent the surface of the tile from damaging. Homeowners usually resort to different kinds of DIY techniques in order to clean tiles and grout. For more details call at (661) 833-0934 or drop an email at excellencedworthy@sbcglobal.net.